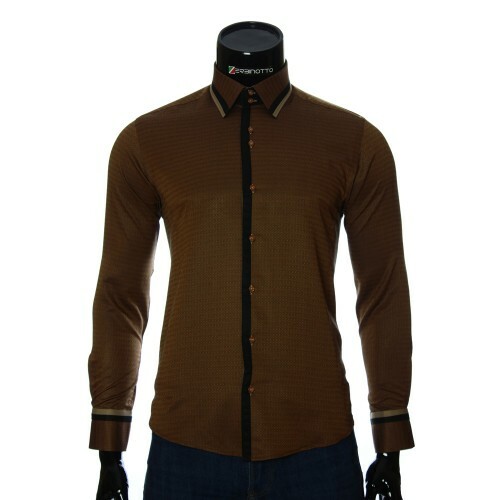 Men's slim fit Shirt gold with a contrast collar. 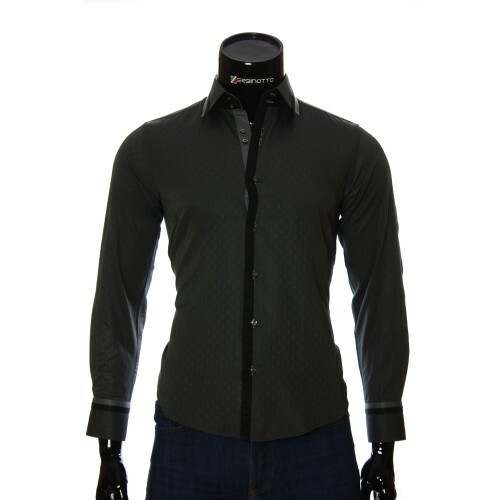 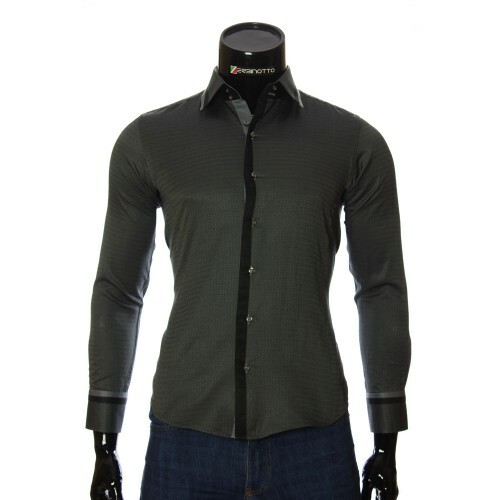 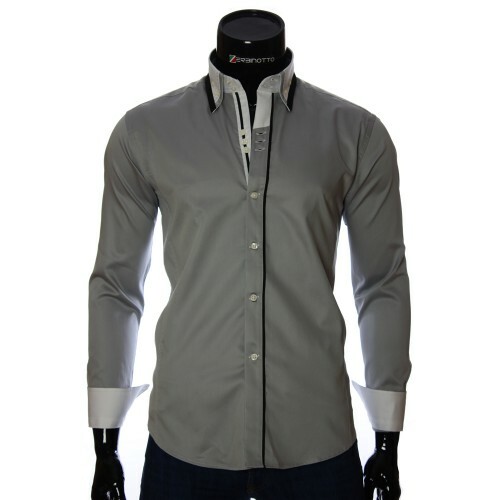 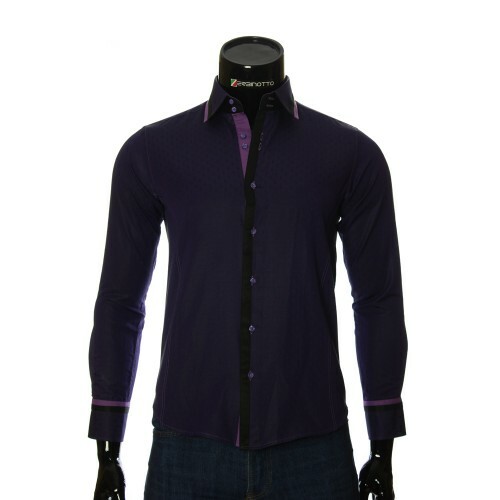 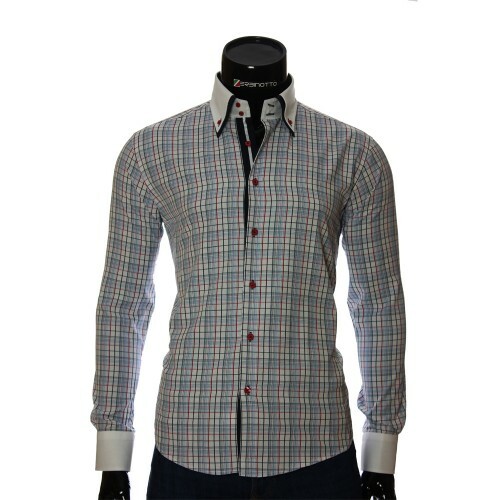 Stylish men's shirt is made of high quality fabric with a rich and original texture pattern. 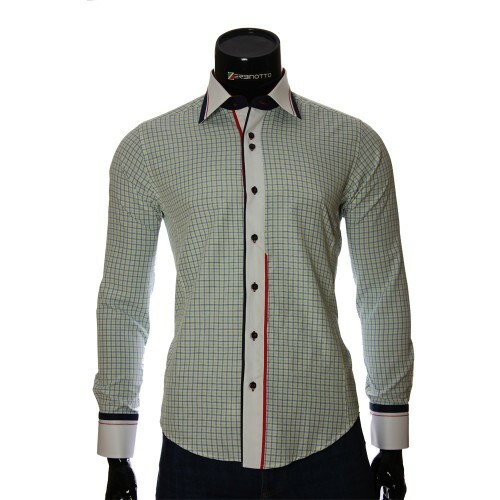 Collar and cuffs are made in white, and on the inner side of the collar and on the strap with buttons sewn a cloth with a floral pattern. 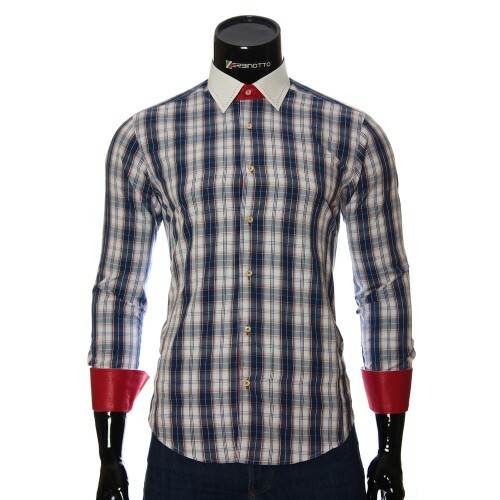 This decision is now in the trend and gives this fancy shirt a special charm. 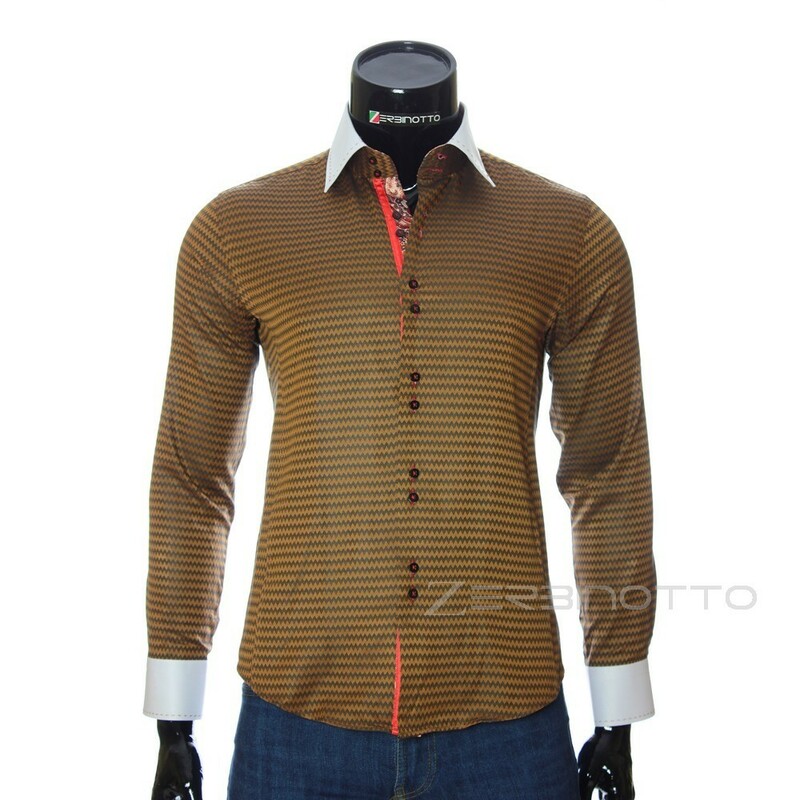 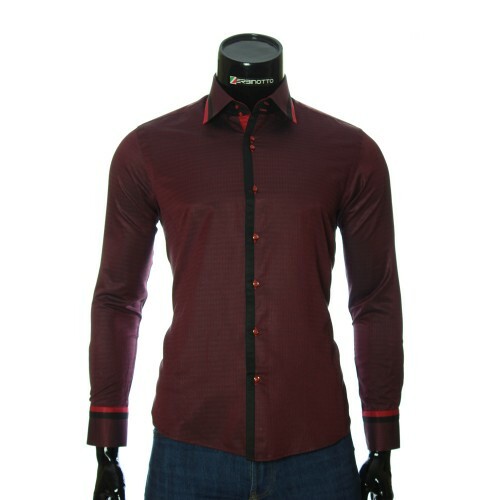 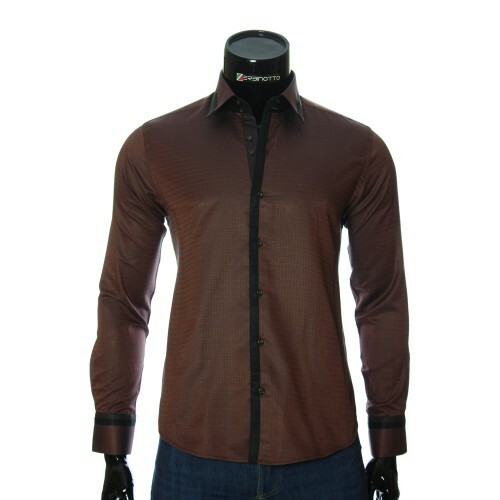 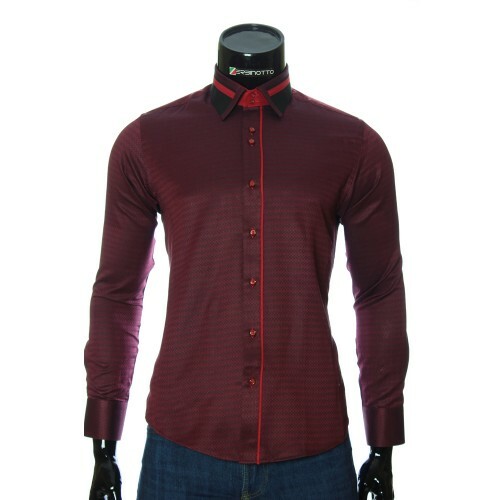 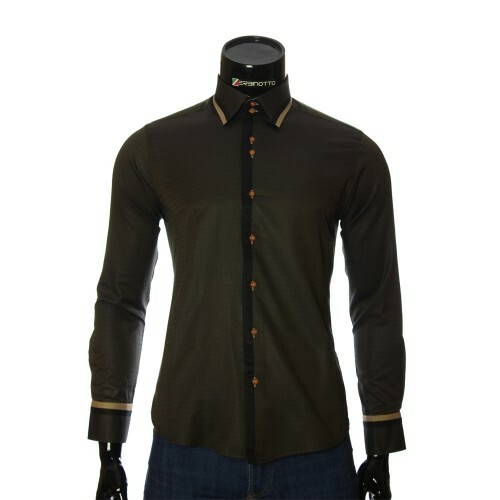 The presented man's fitted shirt is made in combination of gold, black, red and white colors. These colors in the ensemble with an inviting pattern create a rich and compelling image. 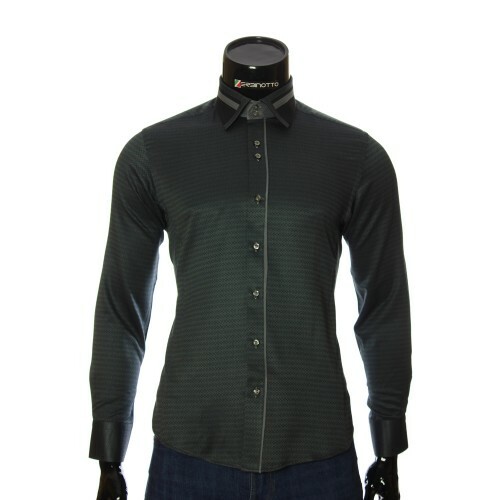 Это мой первый заказ в этом магазине. 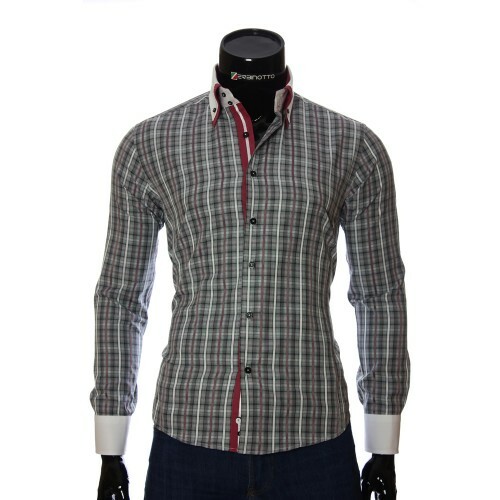 Очень удачный! 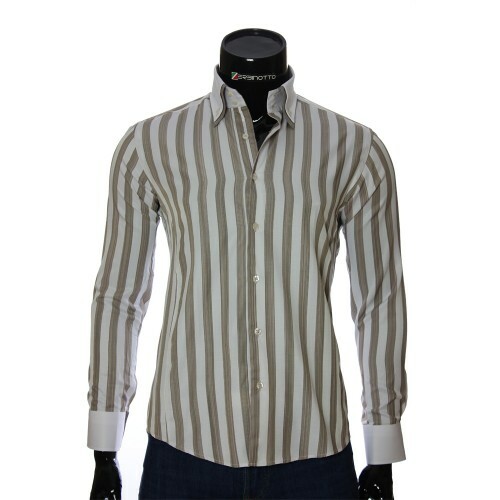 Понравилось обслуживание, все очень быстро, и подтвердили и отправили в день заказа. 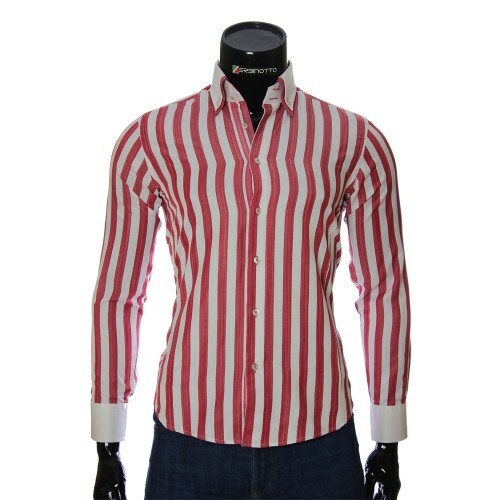 Рубашка подошла, размер подбирала по параметрам в табличке. Спасибо!